Two volumes (24.5 cm), x (6), 634; (4) pp.635-1184 pp. Publisher’s cloth, printed dust jackets. 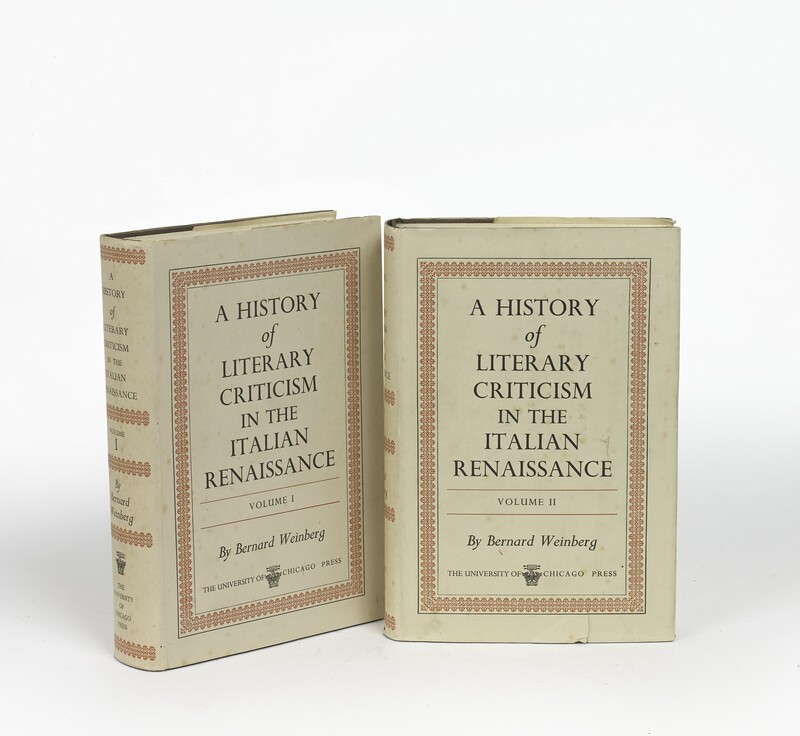 - A comprehensive account of the great literary quarrels of the sixteenth century, centred on Dante’s Divina commedia, Speroni’s Canace, Ariosto’s Orlando furioso, Tasso’s Gerusalemme liberata, and Guarini’s Pastor fido. The author’s bibliographical descriptions of contemporary printed sources are useful (pp.1113-1158). First edition (reprinted 1963, 1974, etc.). 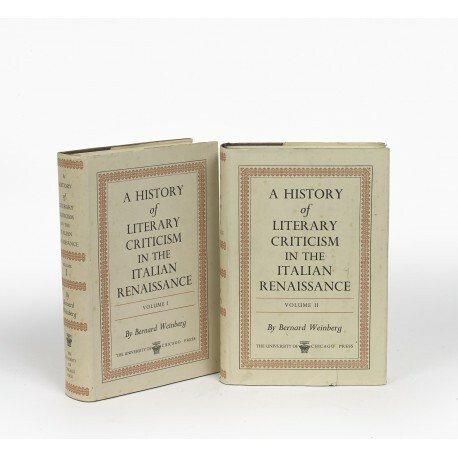 ¶ Dust jackets slightly foxed; clean tear (vol. II).